Winter is a quiet time. The leaves now lay over the earth like a blanket covering seeds that were shed. It’s a time to contemplate what to rebuild, renew and rejuvenate. Mankind has been building civilizations on top of older ones for thousands of years. The Earth continues to support all of our efforts, some withstand better than others. Humans are a creative bunch and we don’t give up easily. 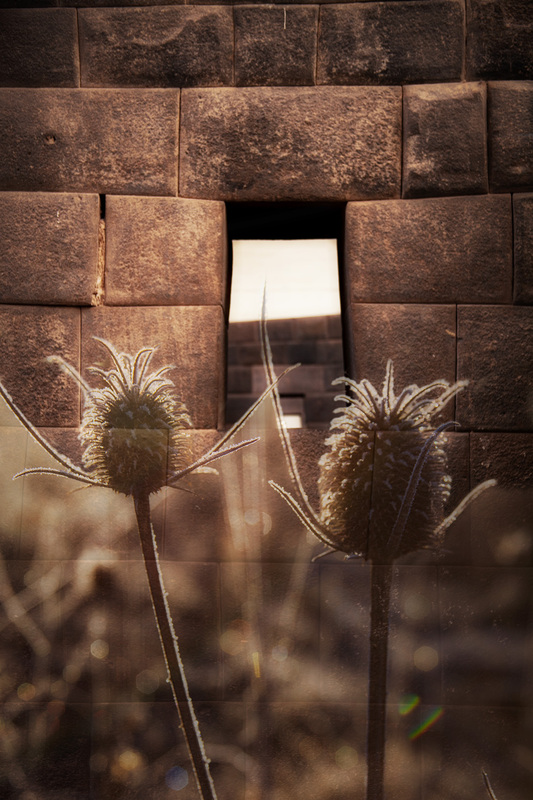 In this image the humble thistle plant stands before an ancient Incan wall, fragile yet strong enough to return over an over again every year. One is man made and the other a product of the earth. We’re in this together. Search for the seed of good in every adversity. seed of good. Find it and prosper.